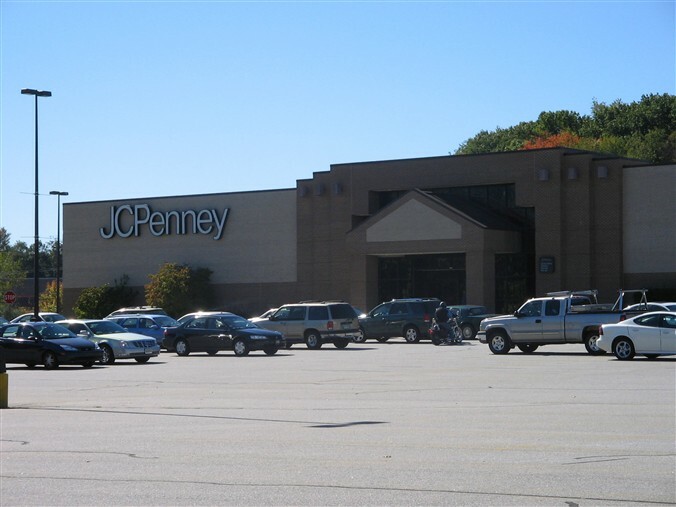 The Mall at Whitney Field is the only major enclosed shopping center in North-Central Massachusetts, serving the twin cities of Leominster and Fitchburg just off Massachusetts route 2 about 45 miles northwest of Boston. 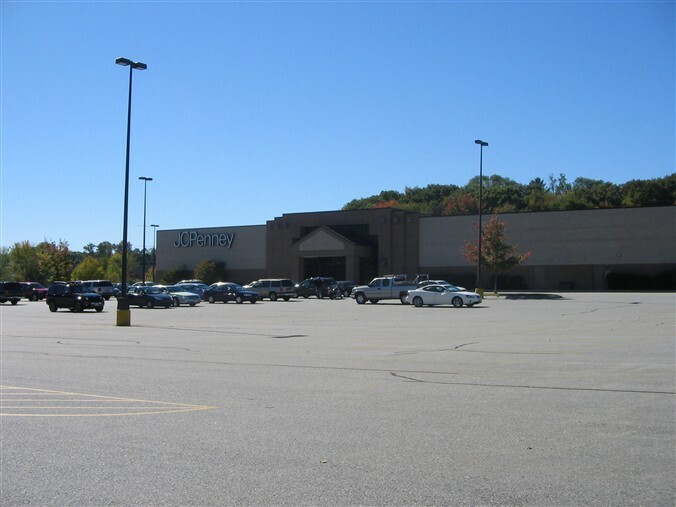 One of the oldest malls in Massachusetts, The Mall at Whitney Field opened in 1967 as the “Searstown Mall,” but it was extensively renovated and renamed in 2004. Like many malls of its vintage, it has had many changes over the years. 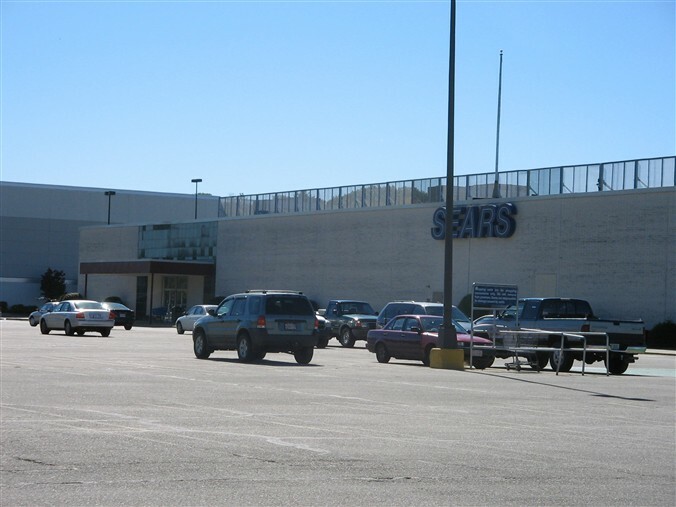 Initially, the Searstown Mall was a smaller center anchored by Sears (obviously! ), a rare Massachusetts outpost of Hartford-based Sage-Allen Department Store, and Bradlees, but in a very different configuration than today. 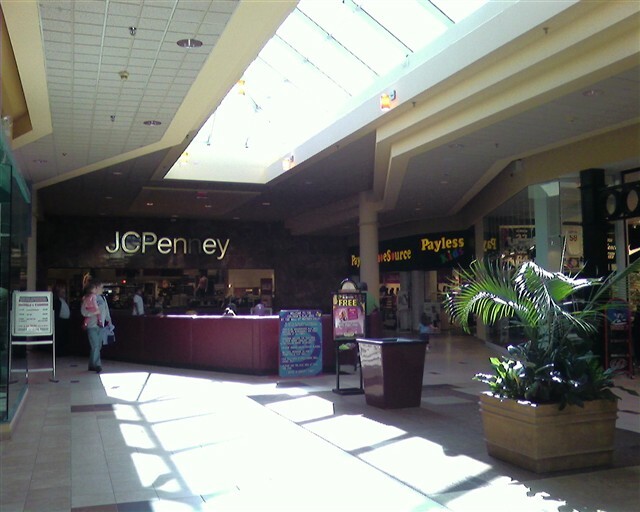 In the late 1980s, the Searstown Mall was expanded substantially at its southeastern end, adding a long bright wing leading to a brand new JCPenney store. 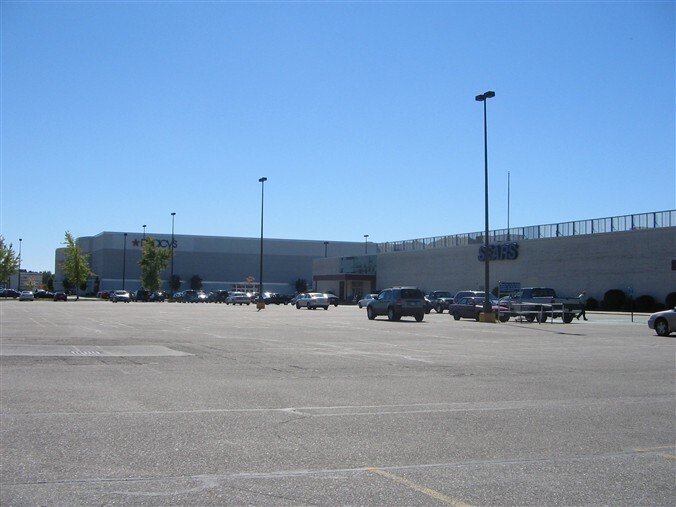 In 1992, Sage-Allen closed their store at the end of the “T” side wing and were replaced by a Service Merchandise store. 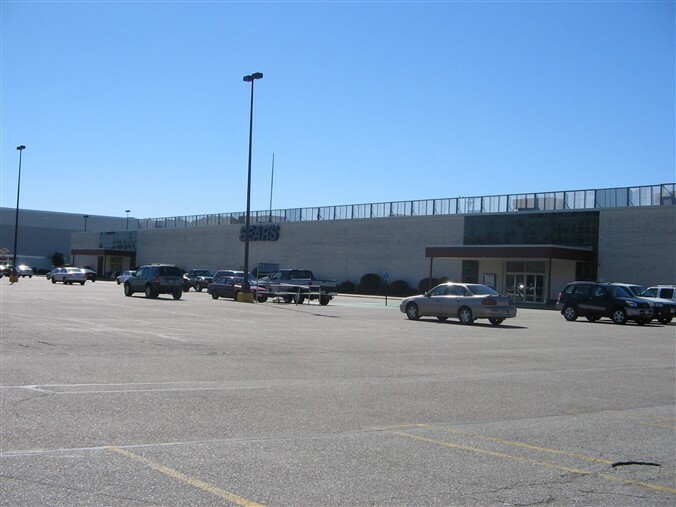 At about the same time, Toys R Us built a store that was attached to the mall, but was located on the outside of the Bradlees store and only had an exterior entrance. Another big wave of changes began in 1999. Service Merchandise closed their store, and the long side wing leading to their old store emptied out. 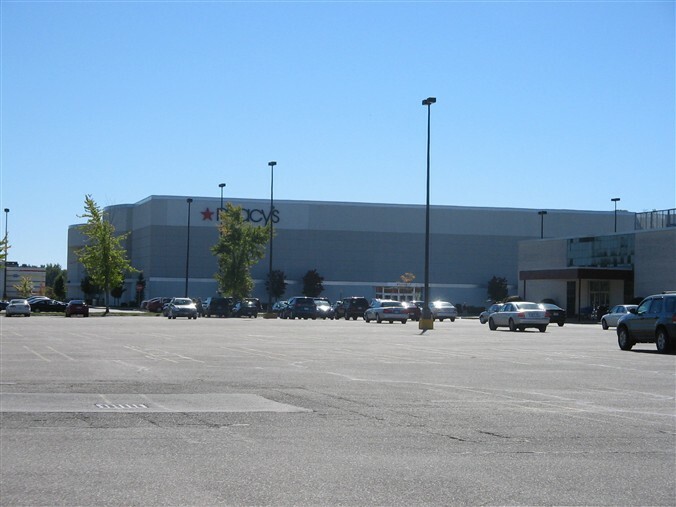 Instead of replacing the stores, the wing was big-boxed in 2000, replacing Service Merchandise with Circuit City and turning much of the side wing into an Old Navy store. Bafflingly, both of these stores (not just the Circuit City!) have exterior entrances only. Changes accellerated with the 2001 loss of Bradlees, leaving a very large vacancy at Searstown. Bizarrely, the store was demolished in 2002, although the Toys R Us store attached to the Bradlees was left standing, leaving it as an “orphan” standalone building no longer attached to the main mall building. The former Bradlees mall entrance was then converted to an outdoor mall entrance, and Filene’s built a large new two-level store one entrance down–at a door that used to lead directly outside (isn’t that strange?) Obviously it’s a Macy’s now. By looking at the older Google satellite photo of the mall and comparing to the modern-day directory, you can see how it’s changed in the past few years. 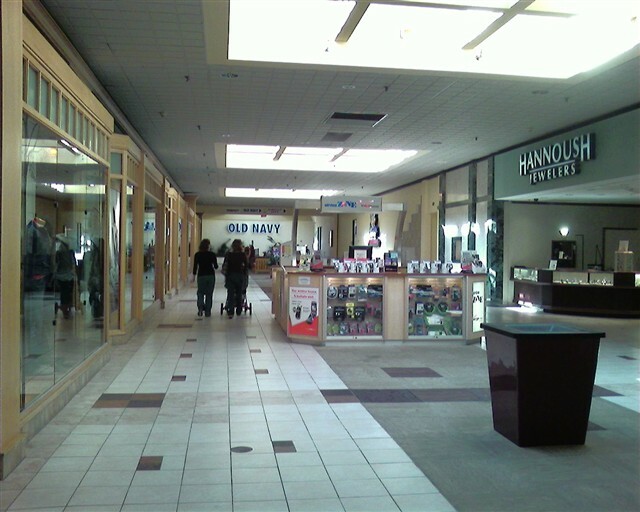 In 2004, the remainder of the tired-looking yet successful mall received a much-needed make-over, dressing it up in soft hues and retiring the quaint Searstown Mall moniker in favor of the more affected “Mall at Whitney Field” name, likely in an attempt to help endear the mall to shoppers who live in affluent northwestern I-495 belt suburbs rather than just the immediate, more blue-collar population of Leominster and Fitchburg. This ramshackle mid-sized mall isn’t terribly exciting, but I’ve always been somewhat fond of it. 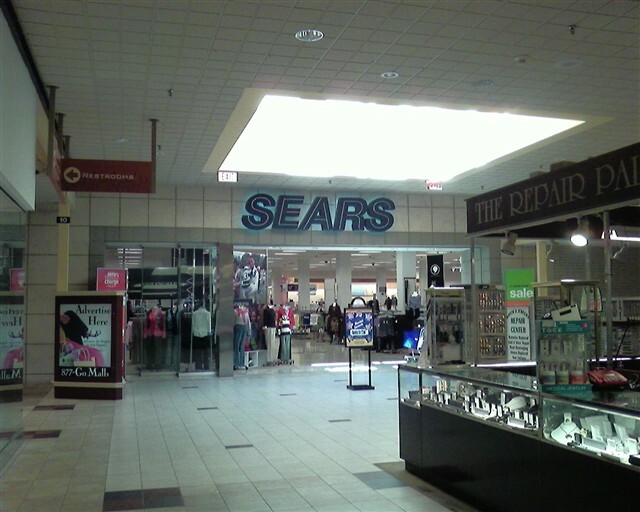 It may be that even despite renovations, its age is showing, and it may be that ancient Sears store at the northwestern end of the mall. Ooof. I visited this mall around last year’s time. 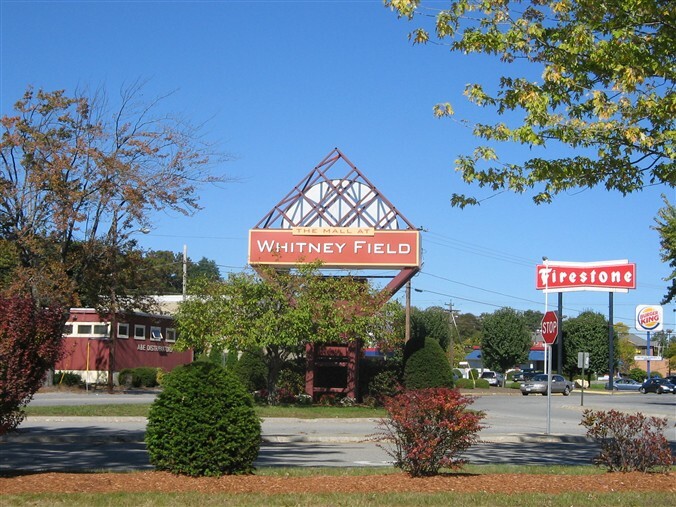 If you’re around Rindge, New Hampshire and you’re looking for malls, you might drive 45 to Leominster to get to The Mall at Whitney Field. What can I say? Lame. This mall felt very dry, not dead by any means, but very lackluster. The food court was so limited, and unsettling, I decided to find something else around the mall which there is a goog amount of. 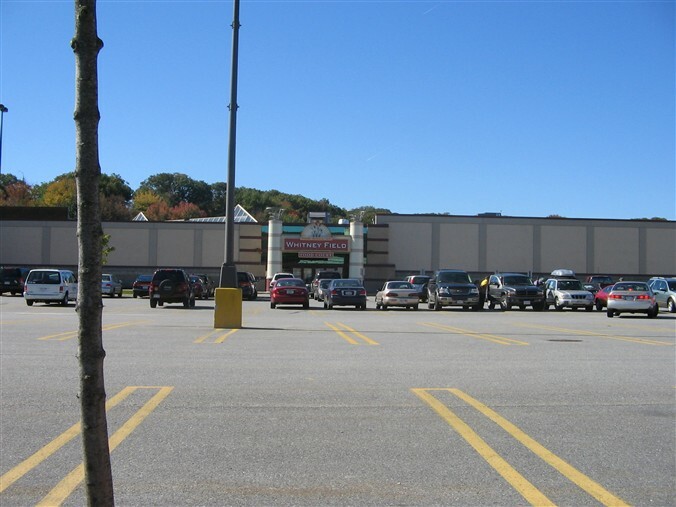 Mall at Whitney Field ought to thank the surroundings for the success of the mall – namely a nearby Newbury Comics, Market Basket, and plenty of other strip mall stores and restaurants. Never knew there was a Bradlees here and the Toys R Us is so close to the mall it almost seems odd not to be annexed with it. I read that the Toys r us was the old Market Basket that relocated outside the mall in 1991 and toys r us opened october 1992. 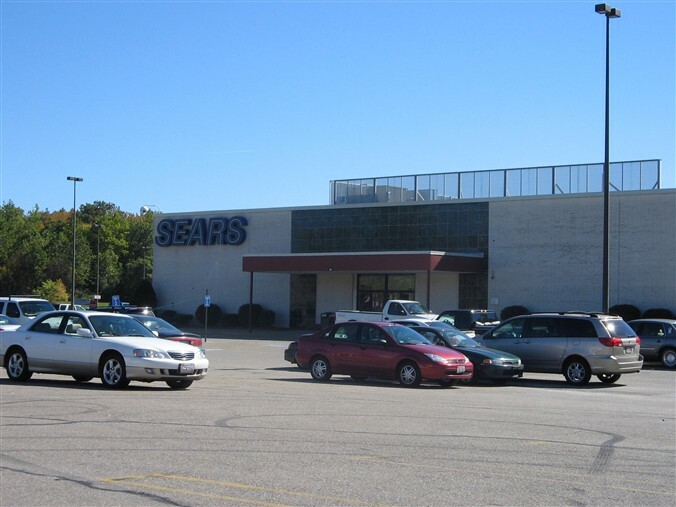 I visited the Searstown mall for the first time in the 1970’s It was a very small mall anchored by Sears and the RH White’s Department store. It had a Woolworth’s and about 12-15 Stores. RH Whites also had an older store in Worcester’s Lincoln Plaza. White also had a downtown Boston store which closed in 1954. This mall also had a Cherry & Web Store that was once located next to the Friendly’s Ice Cream it is and is now a Victoria’s Secret and KB toys. The store also had an exterior entrance. Cherry and Web relocated across the Mall where there is now a Steve & Barry’s store. Prior to Steve and Barry’s it was Anderson Little Mens clothing store. never owened buy sage allen at all. 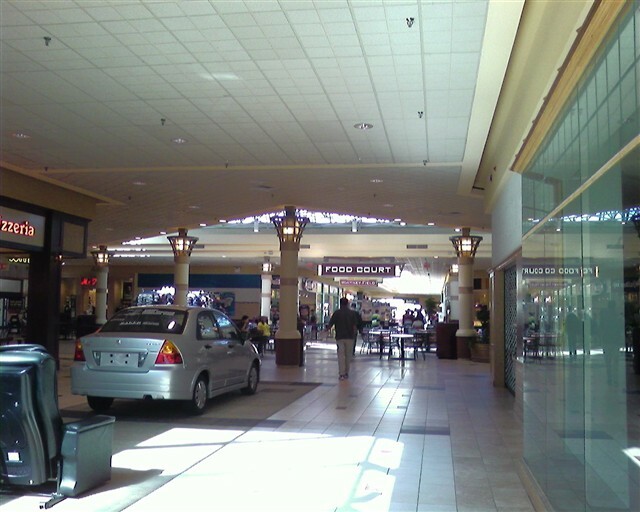 mall was remodled only 2 years ago i was really 1960 mixed with 80’s and 70’s before lanoilem floor trees and pine benched. Under the lionloem the mall had terrazio floors they looked like marble making realize the mall was nicer then Kimco the owners before the remodle made the mall look dated. By cover the mall with a ugly linoleum. I heard that they just opened up a CJ Banks there! Is that true? I have been to the one in Auburn, ME and that store is fantastic. Conservative but fashionable. I am a 3rd grade teacher and the kids love the bright colors and patterns that they sell. I haven’t been to the mall but it is a lot closer than Auburn. Yest – there is a CJ Banks at the mall, great store! 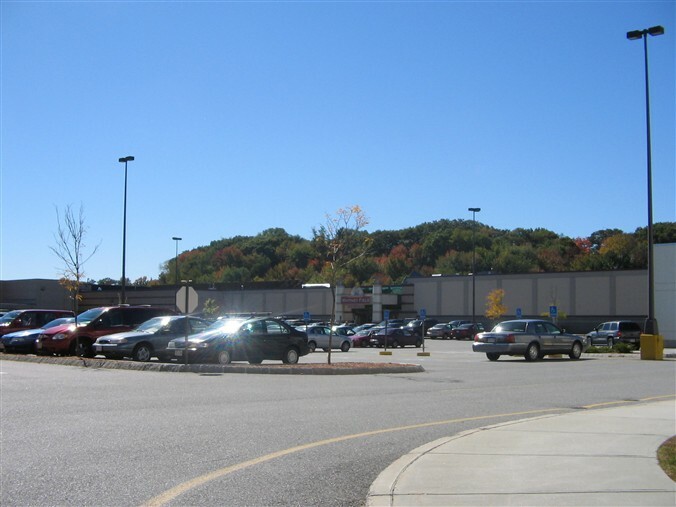 I grew up in Leominster, and the Searstown Mall was a HUGE part of my childhood. I lived within walking distance of the mall. 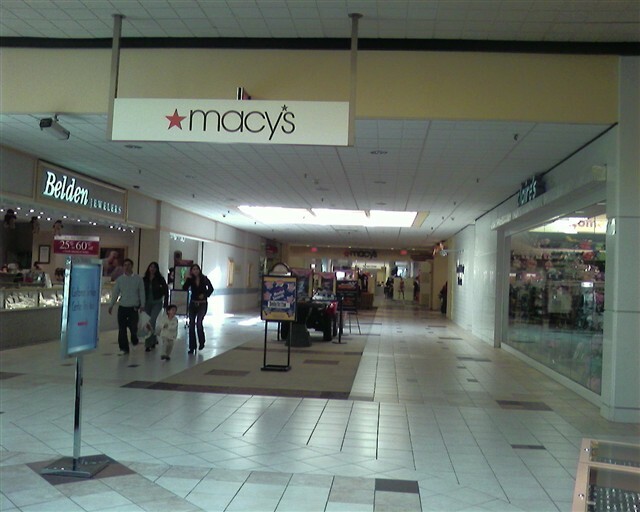 Actually, my paper route (delivering the Fitchburg-Leominster Sentinel newspaper) included several of the mall stores. 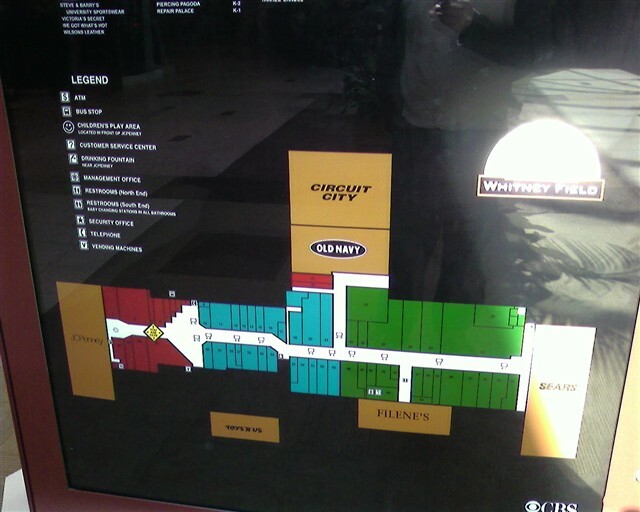 There was an arcade in the wing that now leads to Circuit City. I could blow my weeks delivery earnings in just a few hours!! The transformaton of this mall over the years is barely touched by this documentary. Market Basket never resided in the now Toy’s-R-Us. That building was constructed new for Toy’s-R-Us, attached to the then Bradlees. Even those two stores had only exterior entrances (although Bradlees HAD an internal walkway to the mall which had been boarded up and closed). 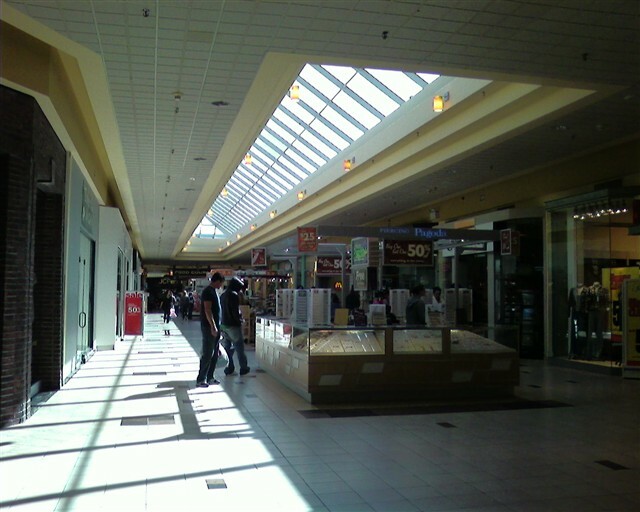 Back then, Bradlees and Toy’s-R-Us were the end of the mall… stretching only from Bradlees to Sears with only the short wing down to the arcade. It was very compact with a LOT of parking space. After the mall closed, and security went home, that parking lot became “street-racing central”. Dozens of cars would turn out each night and run oval-track racing around the mall. There was a serious drop in the blacktop, just in front of Market Basket. Drivers unfamiliar with the lot would often hit that drop, sending their car airborn for some distance. The landing almost always resulted with broken suspensions. That drop is still there, only it is built into the landscaping between the Market Basket parking and the access road leading to the Circuit City parking. There is so much history in that place. So many stores come and gone. So much change. It may be lame to some, but it holds so many memories for me. Heck, I met my (later to become) wife in that mall!! HAHAHAHA We Crushed an oil pan on the “jump” in front of Market Basket on my friend’s parents’ car while they were away. We had to scramble to get in fixed before they got home. My favorite trip was to Fanny Farmer to get fresh candies. Does anyone know the name of the store that recently closed. It was down towards the Macy’s end of the mall and it sold leather goods and motorcycle type accessories. I was thinking it may have been called “Hot Leathers”. Any help would be appreciated. Thanks! That store was Wilson’s Leather. I work at Macy’s(fka Filene’s), and would send customers down there looking for leather briefcases. 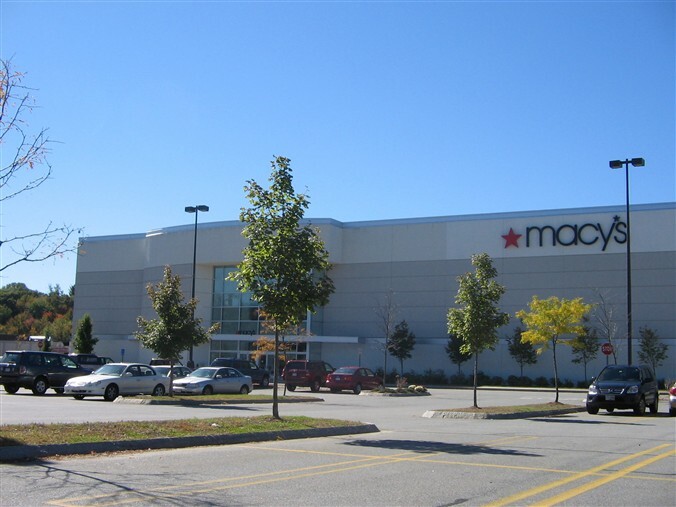 I’ve worked in the mall for the better part of 20 years and what it is now is depressing, even with the addition of Macy’s and the coming of Joanne’s Fabrics. The “food court” is a joke, because there are only 4 food vendors there(Dairy Queen-Orange Julius, Sbarro’s, Fresh Deli, and a Chinese food place). There are so many empty spots that some parts are darkened. Too many teenagers with nothing to do congregate in the mall and use Macy’s escalator as an amusement ride. According to this website http://suburbanelec.com/project.htm, the Bradlees site was to become a Kohls Department store. Also, Market Basket existed as a DeMoulas store next to Bradlees prior to it moving across the parking lot from Sears and changing to the Market Basket format. I remember going to Searstown when I was a kid. There was Bradlees, Demoulas (now Toys R Us), Sears, Fannie Farmer, a store that sold dance wear, Cherry Webb, Woolworths (and a restaurant next door), Friendly’s, Pearle Vision….probaby more that I can’t remember. Bradlees did have a mall enterance that was closed when Bradlees closed. I can remember the arcade, and when they added the new wing. Sage Allen was expensive, that’s all I remember about that store! Does anyone have pictures of the old Searstown? Oh I forgot to mention the 2-screen movie theater that was just outside the mall. That lasted through the larger theater being built. The 2-screen is now Newberry Comics. I used to work at that theater, we called it “Twin.” Good times! Hi..I just came upon this page while searching all things Leominster. I grew up there but moved to Florida in 1991 just 1 year before graduating from LHS. Needless to say my memories of Leominster still hold dear. The Searstown Mall was still a great meeting place for friends during the weekends as well as the movie theater (which I had no idea it is no longer in existence). I plan on finally visiting for the first time since leaving but know that most everything has changed as I remember it. Don’t know if anyone here remembers the album/cassette/CD store “Strawberries?” Is it still there? 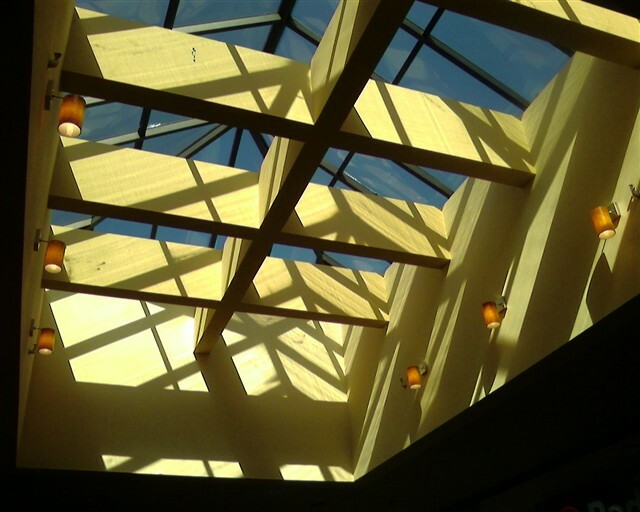 The Sbarro’s, the arcade, Papa GIno’s outside the mall, D’angelo’s, on and on…..I agree with Bill and Shannon in that great memories were made….old pictures anyone? I have heard a lot of great stories of memories of this mall. But they are apparently not good enough to bring people back. There are many days that the mall is empty. The stores are, for the most part, doing poorly. All you need to do is read articles on aol of all the retailers closing and realize that half of that mall will have empty store fronts. If this particular mall has such great memories for you, then why don’t you shop there? any body remember the name of the resterant that was attached to woolworths? its been gone for years but it came up in conversation the other day and we cant remember!!!!!!!!! BIll, correction the Toy R Us was the original Demoulas. If you drive behind the building you can see the origianal “diamond” Style blocks that were used to build the structure. Also, my son used to work at the Demoulas and helped with the move to the new Market Basket location. I remember going to this mall probably more than twenty years ago. The layout seems familiar, though I’m sure it’s changed a little. I’ve been near it lately, as I’ve gone to Chopsticks a few times over the past few weeks. I also haven’t been to the cinema in years, I don’t know if it was Entertainment back then. For food, may I recommend the Chopsticks buffet. Or, maybe Denny’s. You could even drive to The Old Mill in Westminster. I remember this mall from when I was younger. I used to go to the cinema a few times. I grew up in Leominster – on Viscoloid Avenue. I remember when Commercial Road behind the mall was little more than a path from Mechanic Street to behind Demoulas. The owners finally caught on and paved it a few years later. My sister worked at Jack’s Shoes, Touraines, and CWT after high school in the early 80’s. I worked at Olympia Sports from 88-97 and witnessed the building of JC Penney and our move across the mall to the former Lechters. Definitely not the best mall in New England, but it holds so many memories and will always be “Searstown” to me. @Eric, I used to live at “The Projects” on Viscoloid Ave, 140b. probably lived there when you did. Moved out in ’95. I remember that old dirt road. Hi, I also worked at Jack’s Shoes for a few years in the 1970′s. The manager was Rene, the assistant manager was Bruce. The other employees there at that time were Bob, Kim, Debbie, Dottie, Nancy and Joe. Any idea what these people are up to now? I just heard that The Gap will beclosing at Whitney Field. Yet another hole in the mall…and probably another low-ball store will be coming in to fill its place! We don’t need places like “Lily’s”, “World Hands”, and a “cash for gold” gimmick to bring shoppers into the mall. As far as I’m concerned, the mall needs a total re-do. Kay-B closes and a Toys R Us satelite store comes in? That makes no sense. We have 3 beauty salons (the one by JCPenny’s is ALWAYS empty), 2 nail salons (the one near Penny’s is dead most of the time), A to Z Discount, a “cajun food” place that’s been empty for who knows how long…The Mall at Whitney Field needs a total re-do if things are going to improve. @Michelle, Friendlys is gone, too. 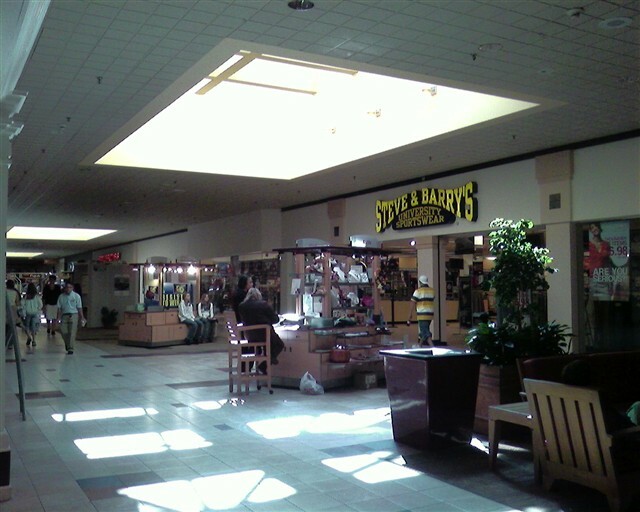 I used to live in southern nh and have a lot of memories of searstown mall. 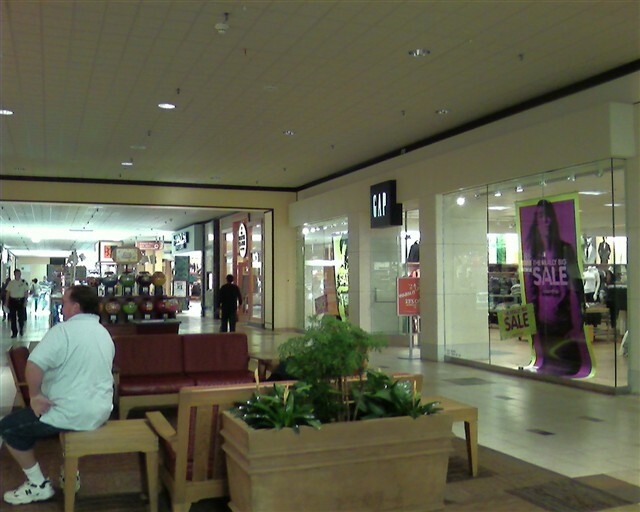 I don’t know what it is about that mall but its one of the places i miss the most of living in new hampshire. You’re not missing ANYTHING. Revel in what in used to be, because what it has become is PITIFUL. If it wasn’t for my job at one of the anchor stores, I’d have no reason to go there. 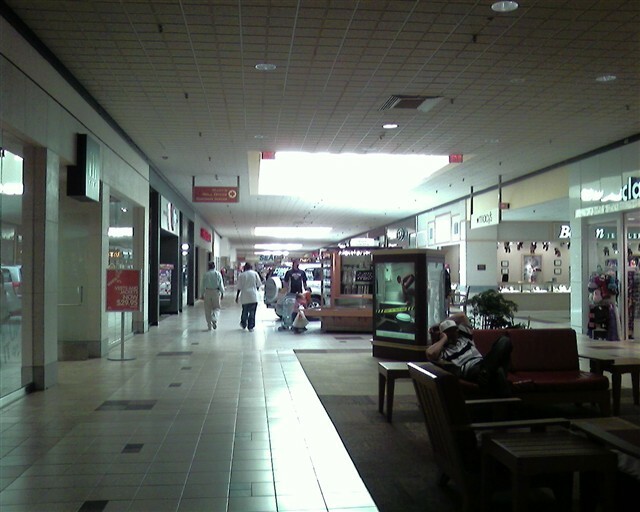 It’s become nothing but a hang-out for teenagers and elderly mall-walkers and seat-warmers. Enjoy Pheasant Lane, Rockingham, even Mall of New Hampshire/Manchester. ANYTHING is better than Whitney Field. “GlowGolf” won’t last. It’s open limited hours, mainly the times when kids are out of school. An off-the-wall furniture store is jammed into the spot that had the calendar store in it. “Magic Moments” closed for good yesterday and the salsa/hot sauce store across from it abruptly closed a couple weeks ago. That makes 3 empty spots within the section before the “food court”, 4 if you include the former KB Toys slot. It’s a sad place to work in, never mind to just drive/ride to and hang around in. 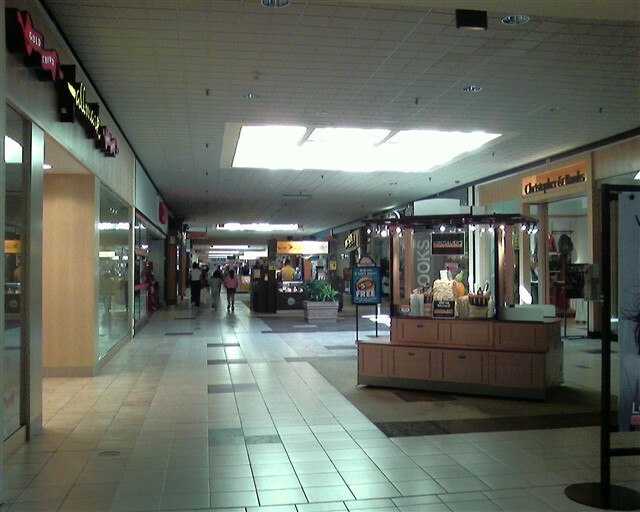 @Michelle, Yeah, but the mall continues to cling to life. It seems to be doing better now. What makes the Mall at Whitney Field such a magnet to tweens and teens on snow days and school vacations? Why are parents dropping these CHILDREN off and leaving them there, unsupervised? If your children have time off from school, give them something CONSTRUCTIVE to do to kill time. You might think lessons, hobbies, sports, etc., are expensive, but the trouble these children may get in from being where they don’t belong and the ramifications of said trouble are far more expensive in the long run. Think about it…Jane gets arrested for shoplifting because of peer pressure because Mommy/Daddy aren’t there and YOU have to go to the police station. She has a record because you couldn’t think of something for her to do with idle time so you dropped her of at the mall. Johnny uses Macy’s escalator incorrectly, gets injured and it gets shut down so the escalator company can investigate that there wasn’t any mechanical malfunctions. This also results in customers using the REMAINING escalator incorrectly because they are “unaware” of the presence of the ELEVATOR. The mall is no place to be if you’re not SHOPPING. Find something else for your children to do. Mall stores are closing left and right because they can’t make the rent. Actually, Toys “R” Us moved into the old Market Basket. It was never a new addition to the Bradlee’s building, and Filene’s was open prior to the Bradlee’s being demolished, as I remembered that dark alleyway the new store created. The Filene’s is separated from the main building with 2 service corridors, because the designers feared the 2-sroty addition might settle too fast, and cause that part of the mall to sink with it, and fail. Everything’s still straight, so when they balked at a 2-story JCP, and decided not to make the mall a 2-story (like Burlington Mall did), proved the former marsh ground CAN support a 20story structure. I believe the mall itself opned in 1972, and 1967 was just the Sears, Market Basket, and Bradlee’s. Not sure. Parents say that’s how it was. mall actually did open in 1967 saw the grand opening fliar, now ultimate electronics is closeing where circuit city was people say they part if the mall is cursed. I found out that Ultimate Electronics was closing the other day when I saw someone standing by Firestone, wearing a sandwich board, announcing the closing. ANOTHER HOLE IN THE MALL! I don’t think it’s that end of the mall that’s cursed…I think it’s ALL cursed. The other day while walking in the mall, I discovered a “low-end” furniture store moving into the spot where Day-By-Day Calendars was. That’ll be gone in a few months. Seriously, the whole mall should be demolished and redesigned with better-quality retailers, a REAL food court, and, I hate to say it, but a REAL place for teenagers to gather while not scaring customers out of the mall. We who have worked in the mall for extended periods of time can see it dying a slow, PAINFUL death and SOMETHING has to be done if it’s to be saved. What’s the MAIN purpose of a shopping mall? RETAIL! All other reasons people have to go to a shopping mall is secondary. If all a person does at a shopping mall is “hang out”, he should find somewhere else to do it. I would rather see an empty mall than to see the parking lot full of cars, only to find that a good portion of the people in the mall are just “hanging out”, not shopping. Think about it: you wouldn’t go to a SUPERMARKET to “hang out”, so why would you go to a SHOPPING MALL to hang out. Maybe the concept of the “enclosed mall” should be abandoned. @Michelle, you must not understand the original concept of an enclosed marketplace then. Things such as “hanging out” or “people watching” was just one part of the concept of what developers originally conceived malls to be. This was the community center aspect of malls. Yes, the retail was also a big factor, but if you recall old Victor Gruen designed malls, they were built with not just shopping in mind, but also as places of congregation. They were essentially indoor main streets. I think those kids who simply hang out and cause trouble is one thing, but I enjoy going to the mall just to walk and grab a bite to eat and just go window shopping when I don’t have the money to purchase something. @Gary, I feel the same as you Gary. I enjoy going to the mall and walking around window shopping with my wife and kids. You don’t have to worry about getting wet or blown away by wind going from store to store. When I was a kid and saw all the older guys sitting there watching tv as their wives would shop or they would walk around just to pass time. I could not wait until that day when I had that kinda time and now that I would enjoy doing that the malls are all closing down. I guess I’m just airing my frustration at what’s happening with Whitney Field over the last several years because I’ve been working there for the better part of 22 years. The quality of stores has drastically declined and long-term tenants are disappearing because rents can’t be made because people would rather “window shop” than actually buy something. One of the phrases I hate to hear is, “No thanks…just looking”. I power-walk during my lunch breaks and I purposely AVOID walking the perimeters of individual stores because I know what it’s like to hear this phrase and I don’t want to bother my fellow mall employees. Ron, I’m glad Sears no longer sells livingroom furniture, because I remember watching people sitting on the sofas watching the TV’s when I was working there. Let’s face it: “loitering”, whether it be by teens or adults, scares away potential customers, because others think the store is actually busy. That’s why Starbucks doesn’t do free WiFi anymore. You may think it’s not the same, but it really is. The escalators in Macy’s are shut down for inspection until further notice due to the Auburn Mall’s Sears tragedy. There are barricades at the top and bottom of both escalators. Please, for your and everybody’s safety, please DO NOT go around them to use the escalators like a stationary staircase. Please use the elevator, located in the hallway between ladies’ sleepwear and intimate apparel. Thank you for your patience and respect in this matter. The escalators at Macy’s were turned back on on Friday, March 25. Now that they’re running again, please use them RESPONSIBLY. DON’T take baby strollers on them. RESTRAIN your child if he’s not in a stroller. For those of you who have tweens and teens whom you don’t prevent from going there unsupervised…if you’re child is injured by your irresposibility, oh well. I understand your frustration but i firmly believe tearing down the mall will not solve anything they did that to whalom and the drivein and all we had was more useless houseing the best thing would be if the rumours are true and greg liscotti buy the mall he is local and could turn it around maybe all the functions that are down in the centor of leominster could be done in the mall. The city needs a sense of community again as it once had. Believe it opr not fitchburg has more of a community again. And they have started work on the old theatre on main st.
I’m talking about a REDESIGN of the mall itself, not a tear-down for another use of the land. If Mr. Liscotti plans to buy the mall, hopefully he will have FRESH ideas to bring new life into it, because it’s a sad place to work. The “temporarity” of some of the stores makes no sense. Yes, the calendar store “comes back” every year, and apparently ToysRUs Express will come back annually, too. I can tell by the quality of some the tenants coming in that they’re not long-term. 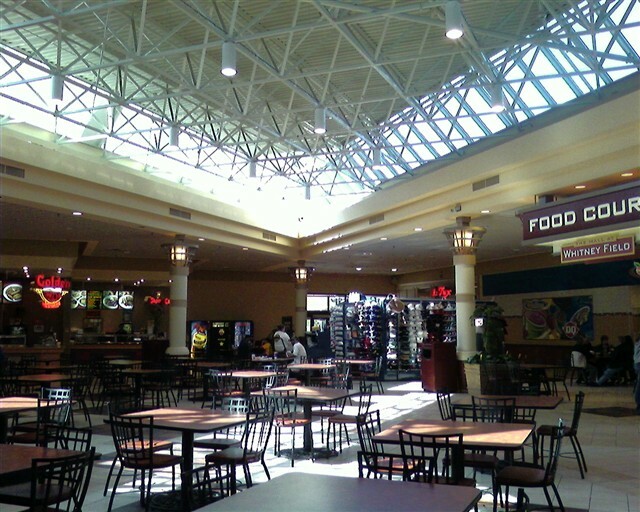 The mall needs a REAL “food court” with high-quality names, not just junk food. 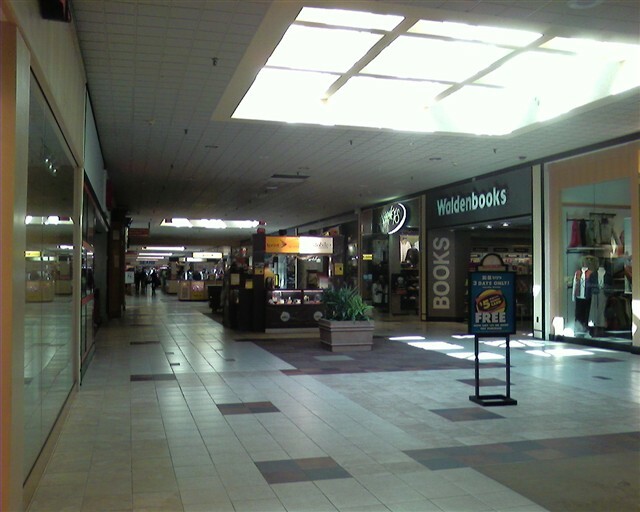 I also think the kids in Leominster need a better place to be if “they have nothing better to do” than go to the mall. If that can’t be done, mall security must find a better way in preventing unescorted juveniles from being there. Kids under the age of 16 shouldn’t be there without adult supervision. I’ve heard that the Burlington Mall requires passes. Maybe that can be adopted here. @james, I get so ticked off when I pass by what used to be Whalom Park. So many memories. Damn shame my kids will never experience that. I enjoyed reading this article and many of the comments. I grew up visiting this mall as a kid, and it was my first REAL job, managing a store after college (95 – 97). I just found out that the “new” theater has also closes leaving movie-goers absent of first run films in Leominster MA. Still love going to this mall though!!! The movie theater is not closed although it desperately needs a rehab! Anyone know what year it was built? I was in junior high when it was being built so it was in the 1980 – 1982 range. ..
Actually, there’s quite a few errors in the history, but not being around here, can understand. (1) RH White (Not Sage Allen) closed in the early 80s, and in the mid 80’s was turned into another section of mall storefronts, the 1st technical expansion. 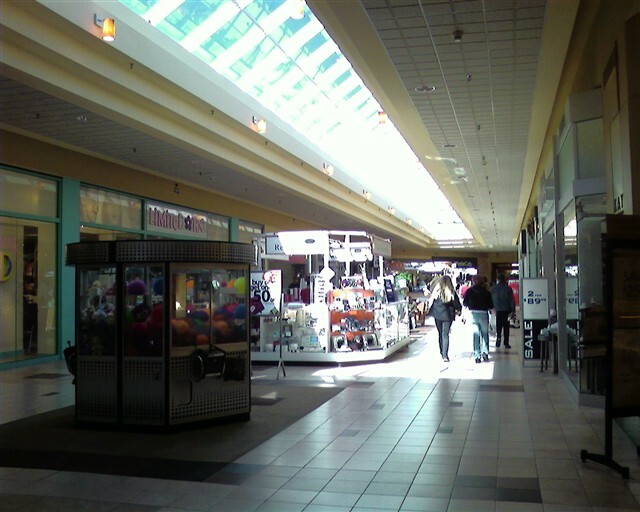 (2) The addition with Service Merchandise was tacked onto the “new” part of the mall, where the arcade was. This was the 2nd external expansion. I didn’t touch on the 1st one (the JCP end), because that was right. (3) Toys ‘R’ Us was never a build, it was a pre-existing supermarket (Demoulas) that moved across the property into a new stand-alone building (Market Basket), with other stores on it’s side. The supermarket and Bradlee’s at one point had a door connecting the two. Not in my time, or I don’t remember it. Not long after the 80s expansion, Bradlee’s expaned their store, to have a mall entrance into the 80s expansion. (4) The “Exterior Only” concept was to try and duplicate the modern concept of open-air shopping centers being built now, to keep the mall with the times. When Burlington ultimately took over the two spaces, they added the mall entrance back.